For many decades, coconut ice has been a sweet treat that could always be found at school fetes, cake stalls and markets. 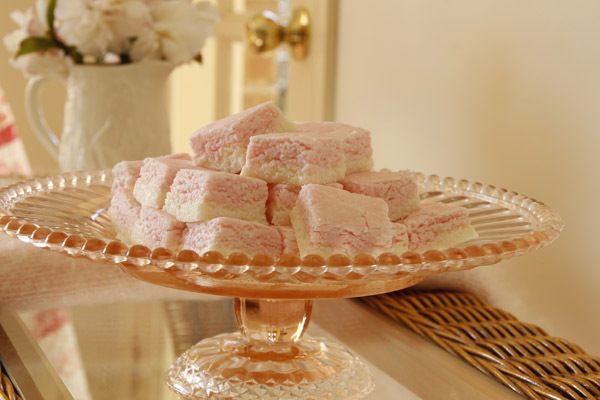 In family kitchens across Australia, batches of this pink and white confection have been made many times. Not only is it quick and easy to make, inexpensive and convenient (as the simple ingredients are always on hand), it doesn’t require any baking. For me, part of the allure has always been the colour. The delicate layers of pink and white are so appealing. 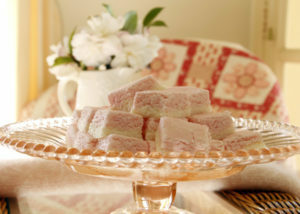 I love pink, so it’s no surprise that I wanted to celebrate this deliciousness in my Coconut Ice Quilt. 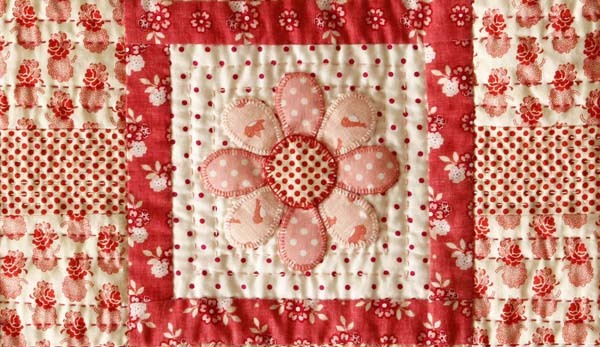 The pale pink on it’s own made the quilt very sweet, so I added some raspberry prints to accentuate the colour. 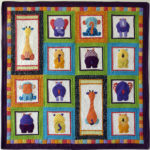 The nine applique blocks are joined with wide sashing. 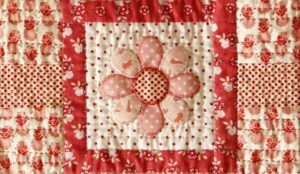 The applique was done with fusible webbing and then blanket stitched with two strands of DMC floss. There are seven borders in total. Border number four is pieced. 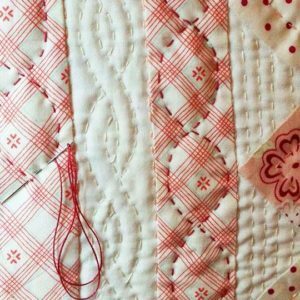 This quilt is a great way to learn to be accurate with both cutting and piecing. The ‘big-stitch’ hand quilting was done using a sashico needle and DMC Perle 8 thread. 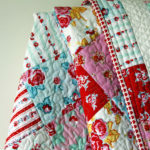 Quilting this way is so much faster than traditional hand quilting and still gives a great effect. 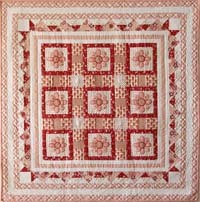 This is a lovely quilt to make. 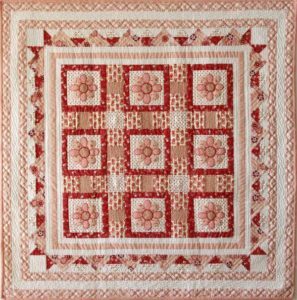 The Coconut Ice Quilt pattern is now available to download. It has detailed step-by-step instructions and would make the sweetest gift. Scroll down to get the Coconut Ice recipe so you can make a batch for yourself, however, it’s so delicious you’ll have to be careful not to eat it all at once! Line a 20cm (8 inch) baking tray/pan with baking paper. Mix together the icing sugar mixture and the coconut. Stir in the condensed milk and the egg white. The mixture will be very stiff so you can use your hands if you like. Mix well. Press half of the mixture into tray/pan. Add 3 or 4 drops of red food colouring to the remaining mixture. Mix well. Press this mixture on top. Refrigerate for 3 or 4 hours before cutting into squares. Coconut Ice makes a lovely gift for friends. Pop some into a little box or cellophane (cello) bag and tie with a pretty ribbon. Enjoy! This looks yummy! Being from the States, I’m not familiar with icing sugar mixture. What is it? Do you mix it up yourself or purchase it? Hi Evelyn, icing sugar mixture is confectioners sugar. You can use powered sugar as well, if you prefer. Both Coconut Ices look grand! Thank you for the down under recipe. I’ve never heard of this desert, but we will definitely be trying it soon. 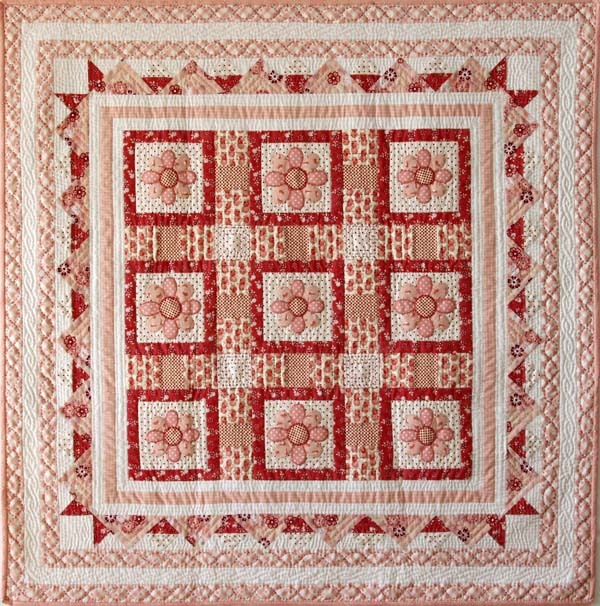 The quilt is just beautiful, the colors are my favorite. Thank you, Barbara. Coconut Ice is perfect to share with your friends. Thanks Helen. Coconut Ice was my first ever purchase as a wee child at a local church fete. It has always been my favourite.